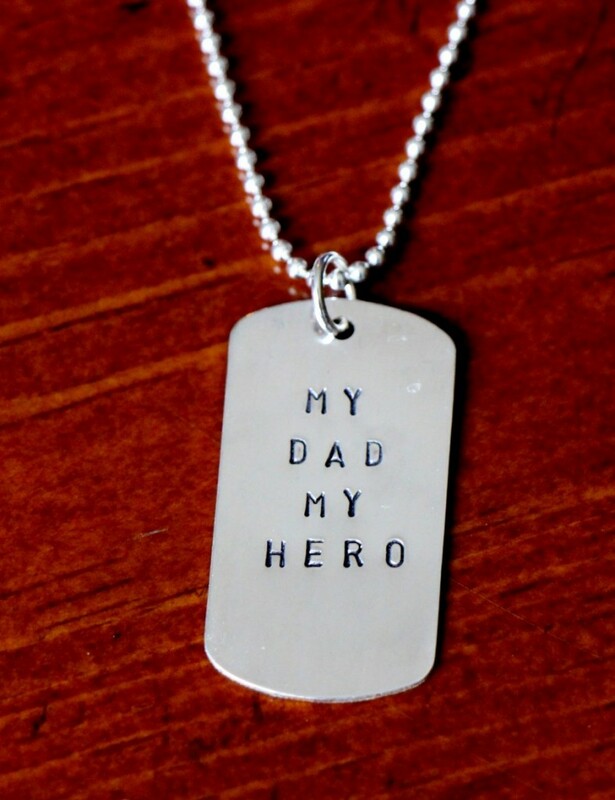 Custom dog tag necklace hand stamped with a name, date or message- a keepsake gift for a mother’s necklace or to honor someone in the military forces or fighting cancer. 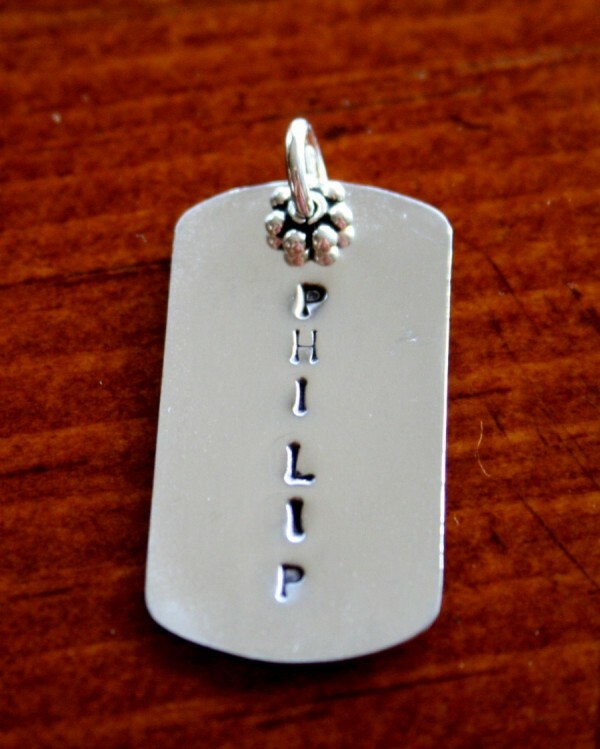 Personalized dog tag measures 18mm x 35mm. 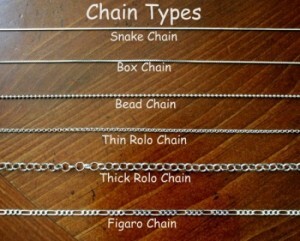 Personalize with up to four lines with seven characters each. 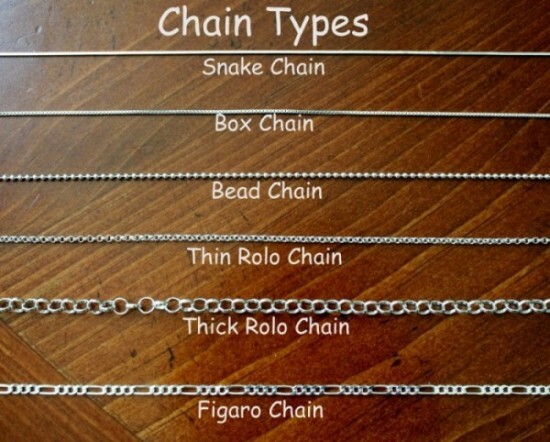 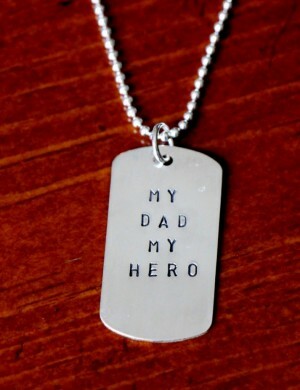 Categories: Classic Hand Stamped Necklaces, Men's Gifts, Necklaces. Tags: dog tag, tag charm necklace.